su corazón estará firme, confiado en el Señor. y al final verá derrotados a sus adversarios. Establecidos con fidelidad y rectitud. ¡Su nombre es santo e imponente! ¡Haré despertar al nuevo día! te cantaré salmos entre las naciones. ¡tu verdad llega hasta el firmamento! ¡Aclamen alegres al Señor, habitantes de toda la tierra! ¡Prorrumpan en alegres cánticos y salmos! al son del arpa y de coros melodiosos! al son de clarines y trompetas! y los libra de manos de los impíos. y la alegría sobre los rectos de corazón. más poderoso que los embates del mar. The act of partaking of the forbidden fruit was a willful choice of disobedience. Because of that willful act, God cursed their offspring with original sin, or sin that is present in all persons born of the flesh or the will of the flesh from that time forward. This is an important distinction to keep in mind for later on, but let’s take a look at what was really behind the act of disobedience. · desirable to make one wise. How many of your sins can you insert in place of “the tree” in the above list? How many justifications can you insert in place of “good for food”? How many desires can you insert in place of the word “wise”? What did the serpent promise would happen if they partook of the forbidden fruit? Consider both sets of words for a moment while I introduce a definition from Webster’s Dictionary to you. Is this not the exact definition which can be applied to the decision which Eve made? 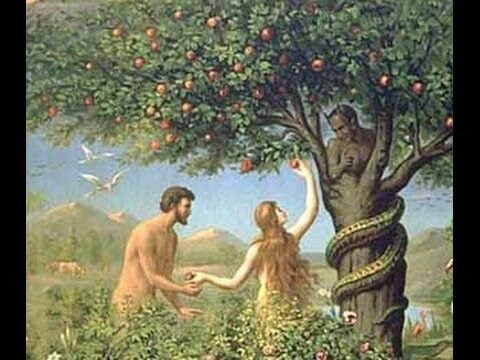 Is this not the exact meaning behind the words which the serpent used to tempt her? Lucifer’s desire was to be autonomous. His desire was to exalt himself above God and be like God. Isn’t this the exact same lie which he used to convince Eve to partake of the forbidden fruit? Isn’t this the exact same desire Eve had in her heart when she partook of the fruit and Adam with her? Isn’t this the exact same motivation which causes you and I to sin? When God cursed Adam and Eve and all of their offspring, He gave mankind over to our desire to be autonomous. That desire to be autonomous leads to being cast out of his presence and to death. These health and wealth false prophets and those who buy into their deception teach and believe that you can take control of your own destiny. 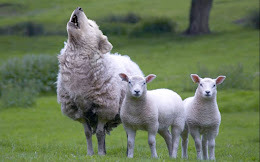 In fact, according to these wolves in sheep’s clothing, you can command God to perform for you whatever you desire: money, power, health, even command the weather. Many have bought into this deception because it tickles their ears. It fits the ultimate, original sin, desire of their flesh. It gives them control over their destiny. It gives them free will to author their destiny, and at the same time, they punch their ticket into eternal life because they prayed a prayer and made a decision. Apart from these false prophets are others which appeal to the desire of men to control their own destiny. This deception involves being baptized (whether as an infant or adult makes no difference), but after baptism, one must attend mass, go to confession, pray to the Virgin and the Saints, perform good works, tithe, keep the Sabbath, keep the feasts, partake in all of the sacraments, and do good things that will make you more impressive to God so that He will save you. When you die, you will spend some time in Purgatory, while your dear family and friends spend every last dime they have to help get your eternal soul into heaven. Our autonomy leads us to strive with all of our might to line up all of our ducks in a row so that we will be acceptable to God and He will count us worthy to enter into His Kingdom. In our flesh we believe that if we can just be good enough, if we can just believe more, have more faith, give more money, etc. Because of that willful act, God cursed their offspring with original sin, or sin that is present in all persons born of the flesh or the will of the flesh from that time forward. 1. Jesus was not born of the will of the flesh. Jesus was born through the will of God by the visitation of His Holy Spirit who placed Jesus in the Virgin’s womb. This doctrinal position is critical. Jesus could not have been born of the will of the flesh because if He had been, He too would have been under the curse. 2. Those who receive Jesus are not born of the will of the flesh, but of the will of God. Those who receive Jesus are given a new life in the spirit which is recreating them and fitting them for the Kingdom of God. They do not strive for or obtain the grace of God, their regeneration or their sanctification through their own autonomy: free will, choice, self-determination, etc. 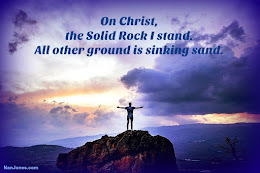 Brothers and sisters, for more than a year now, God has placed only one burden and one message on my heart and I have repeated it in a number of different forms. Humble yourself and exalt Jesus. That is a simple statement, but it is the power of both regeneration and sanctification. When you are given the eyes to see and ears to hear and receive the message of the gospel, it is given to you not by the will of your own flesh. You were not autonomous in that moment, but the Father revealed His message of salvation to you. To insist and cling to controlling your own destiny is a continuation of the sin of autonomy in your life and is against the spirit of the new creation you have become. Humble yourself, in essence, GIVE UP YOUR AUTONOMY. Put that part of you which is exerting itself to maintain control over your destiny to death. Replace that desire after autonomy with a desire to abide in Jesus. Replace the desire to maintain control over your destiny with allowing Jesus to take His rightful place as the author and finisher of your faith and as your exalted Lord. como cedros del Líbano crecen. siempre y cuando no se vuelvan a la necedad. para establecer su gloria en nuestra tierra. Tú, y solo tú, eres de temer. para salvar a los pobres de la tierra.